He won Big Brother Nigeria, the only one ever held in Nigeria. He won a lot of money and he disappeared. Rumor had it that he went to his village when the money finished, and was too embarrassed to return empty handed! there was also another rumor that he finished the money in two weeks oh! Drinking in expensive spots in Abuja! One bottle of Gulder, 1k! Then he was buying drinks for his fans as well… That was the rumor spreading, years back. 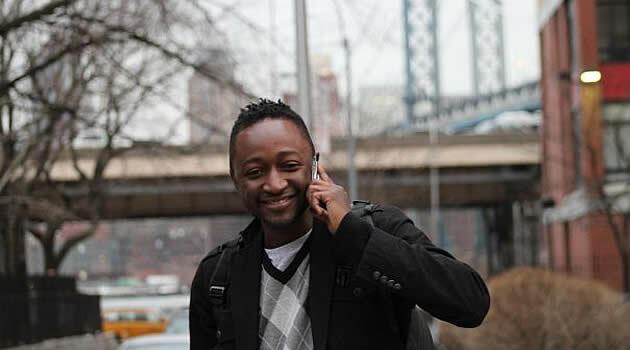 But the true gist from his family at chocolate city is, Katung was away in the prestigious New york film academy for two years, he is back to Nigeria after successfully completing his program. He is not coming to Nigeria to be floating about oh! He is back to Head Chocolate City Movies!